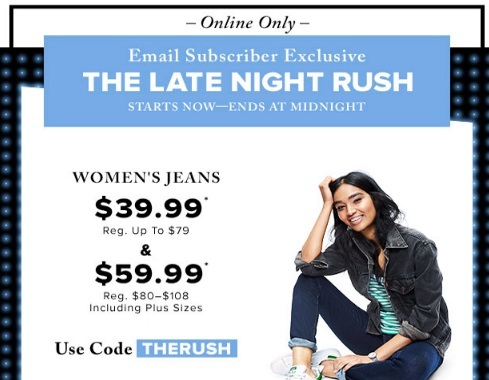 Hudson's Bay has a Late Night Rush deal on now! Women's jeans are on sale $39.99 (regularly up to $79) and $59.99 (regularly $80-$108). Enter the promo code THERUSH to get the discount. Offer is valid now until midnight tonight.